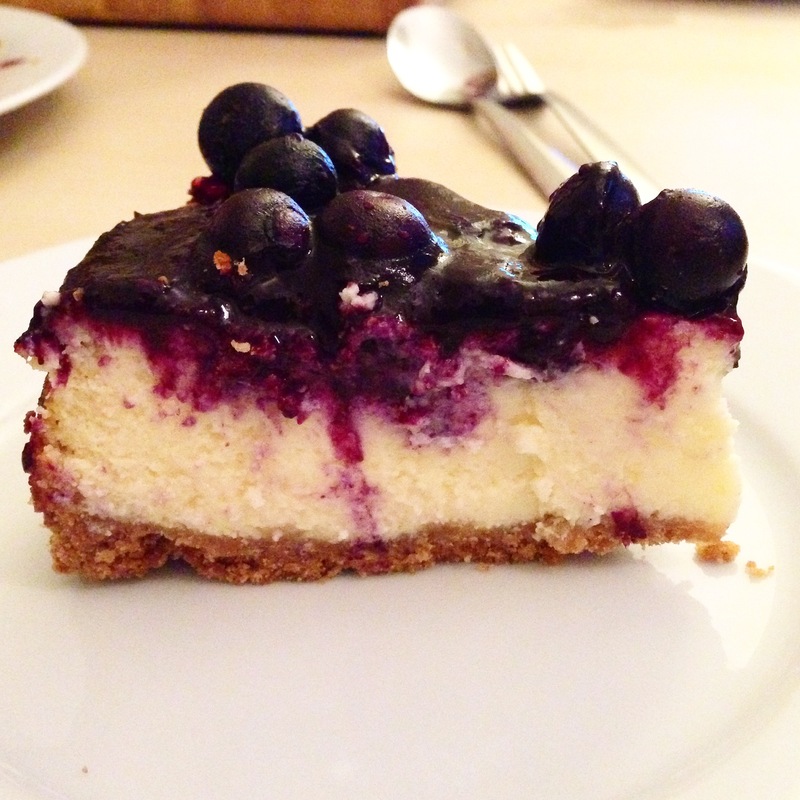 I bloody love baked cheesecake and I bloody love blueberries. So this had to happen. I’m afraid I can’t for the life of me remember where I found this recipe as it was about seven years ago as I’m so up-to-date when it comes to blogging. I’ve made it a few times and it never fails. 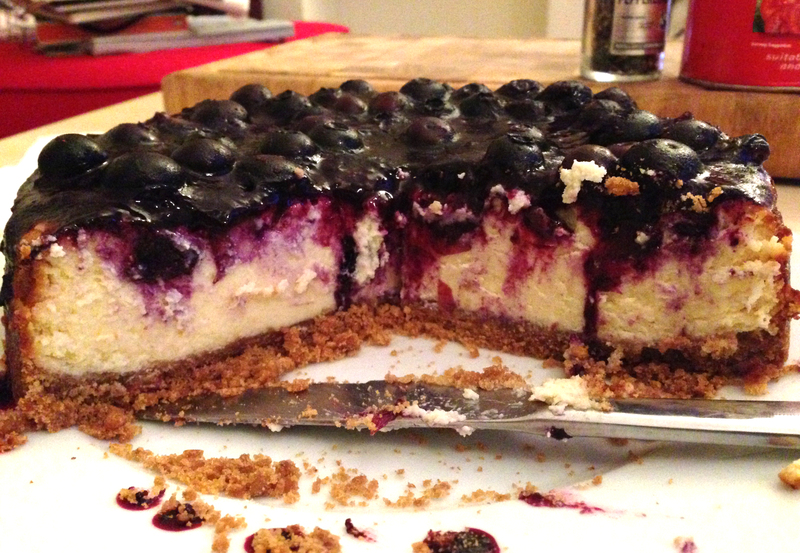 I covered the top with my blueberry compote which I added a bit of gelatine to while it was cooking. It worked out quite nicely but I think that’s why it isn’t shiny. Slowly trying to work out how to change this. You don’t need to add the gelatine, but obviously it won’t set on the cake. Crush up your biscuits, either by going at them with a rolling pin or in a food processor until you have small crumbs. Heat the butter in a pan until it has melted, add your biscuits and mix it together well until you have a nice, sticky mix. Butter the inside of a cake tin and then press the crumbs into the bottom, trying to keep it as level as possible. Really push down so you have a compact layer for the base of your cake. Pop it in the fridge for at least 20 minutes and pre-heat the oven to 170°c/gas mark 3. In a large bowl whisk the cream cheese until it’s soft, this takes all of 30 seconds, and then add the condensed milk, vanilla, eggs and lemon zest and whisk again. 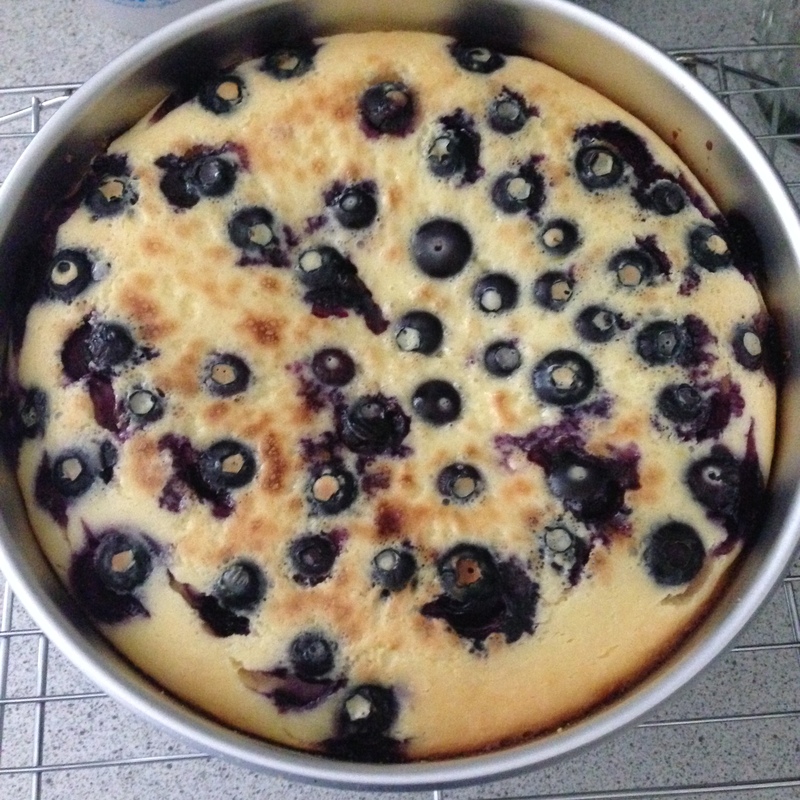 Pour into your cake tin over the base and then scatter the blueberries over the top. Try and make sure they aren’t all just in one clump. Let the cake cool completely before taking it out of the tin. I know. Sometimes I have to stop myself just putting my face straight in these things, but patience is a virtue blah blah blah. Spoon over your compote and pop it into the fridge until it’s chilled and ready to eat.